It's not often that designers are let loose on an interior scheme, but The Stow Brothers would appear to be something of a dream client. 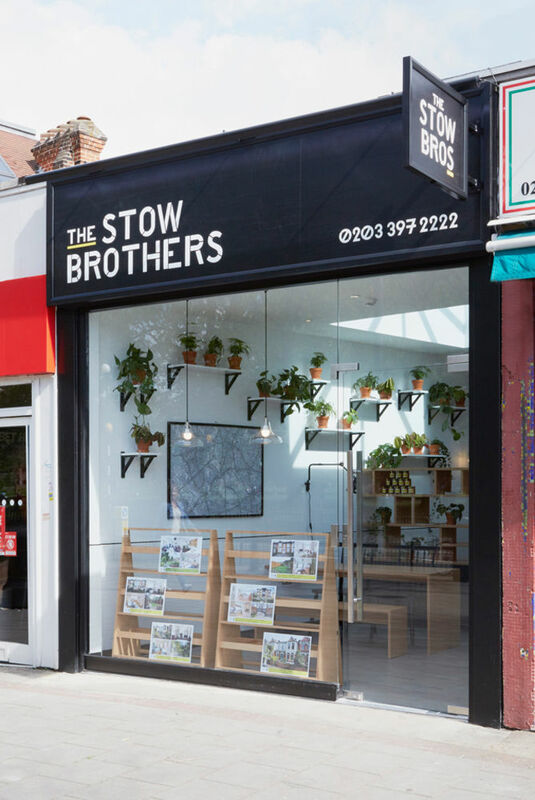 Launched just as Walthamstow became the go-to destination for those who were being priced out of Stoke Newington, Build's distinctive scheme made it clear that The Stow brothers were not your typical E17 estate agents. 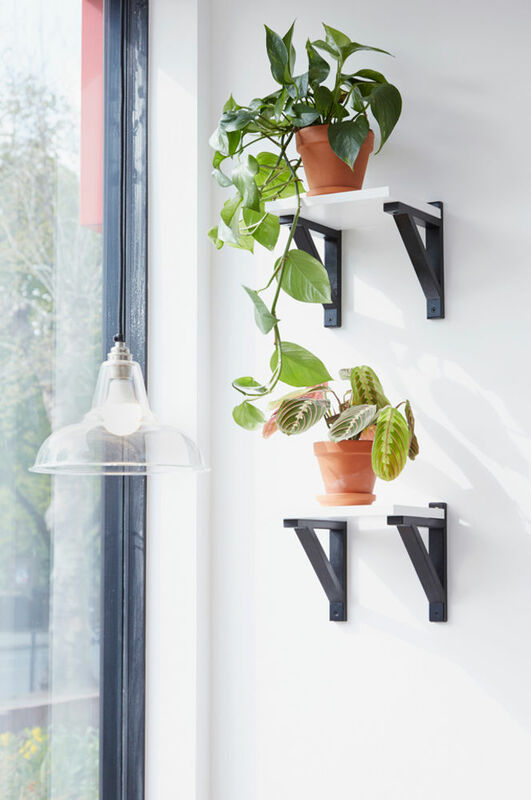 We caught up with Build's Nicky Place to find out more about the smart interior the studio has recently created for their client's new Wanstead shop, featuring tons of plants, a wealth of local talent and a feature wall to die for…. How did your relationship with the Stow Brothers first come about? The brief for the first Stow Brothers shop was to do something different, what was the brief for the second shop? There wasn’t a brief as such for the first space, it was very much led by us in that we persuaded them how important it was that the space should be an extension of the brand, because aside from the website, that is the main point of contact for most people. 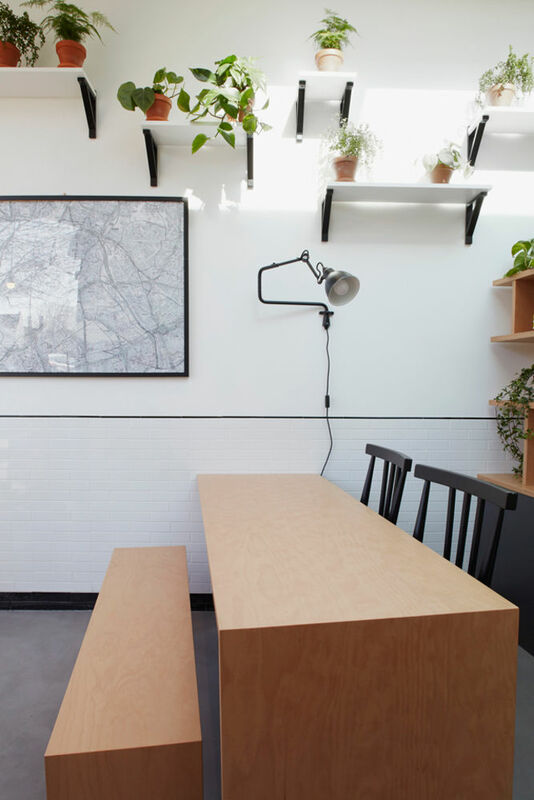 We wanted to make sure it didn’t feel like an estate agents, but this came about quite naturally by thinking of the space as a hangout, like going to your mate's for a cup of coffee round the kitchen table. 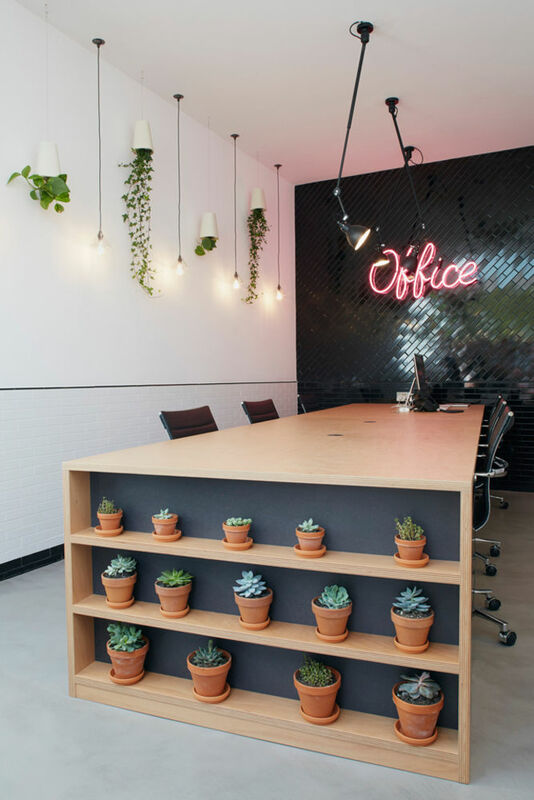 The layout for the first office evolved around how they needed to use the space (a key consideration for the second space too) but the finished design was definitely led by a small budget and a bit of a DIY aesthetic, peppered with some carefully chosen design details like the glass funnel lights and bespoke turned yellow table legs. 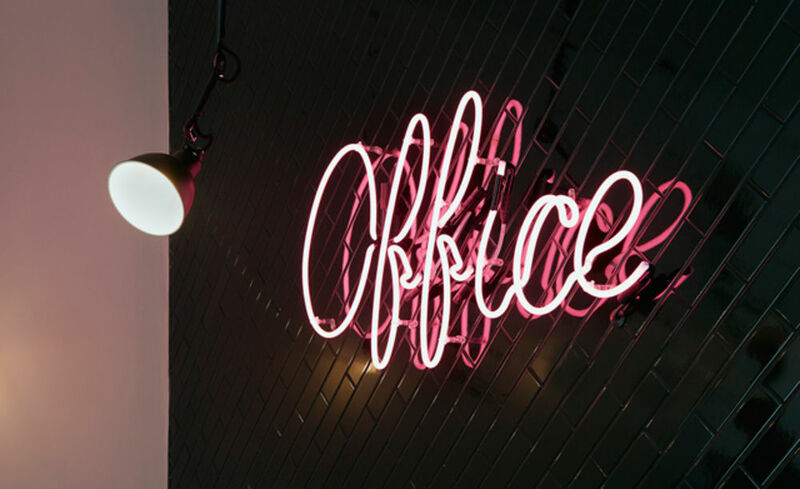 For the office in Wanstead however, we took quite a different approach – the population of the area is a bit older and more established (Walthamstow has seen a huge influx of new residents in recent years whereas Wanstead has a more steady population). 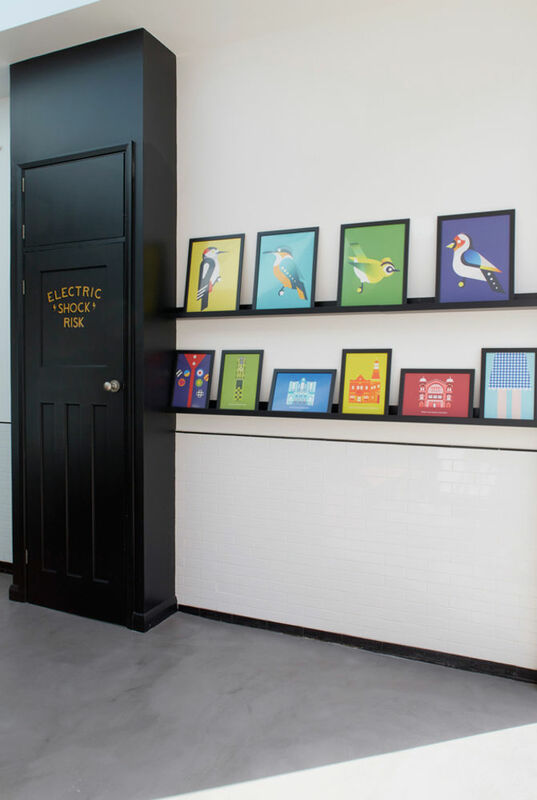 So, we wanted to take some elements of the E17 office but give it a much more sophisticated look. The initial brief was simply to include ‘a lot of planting’ which the clients were keen to introduce so that the space felt very alive, and not at all like an office. But for the space itself we looked to the nearby high street for some pointers – Wanstead has a plethora of traditional shops like the fishmongers, greengrocers and butchers, as well as a great Pie & Mash shop along the road, so we wanted to do a twist on these (typically) tiled spaces (what we termed ‘Pie & Mash-Up’!). At first the space did look a bit like a fishmongers, but as the black tiling and other details got added it started to take shape with its own strong look. 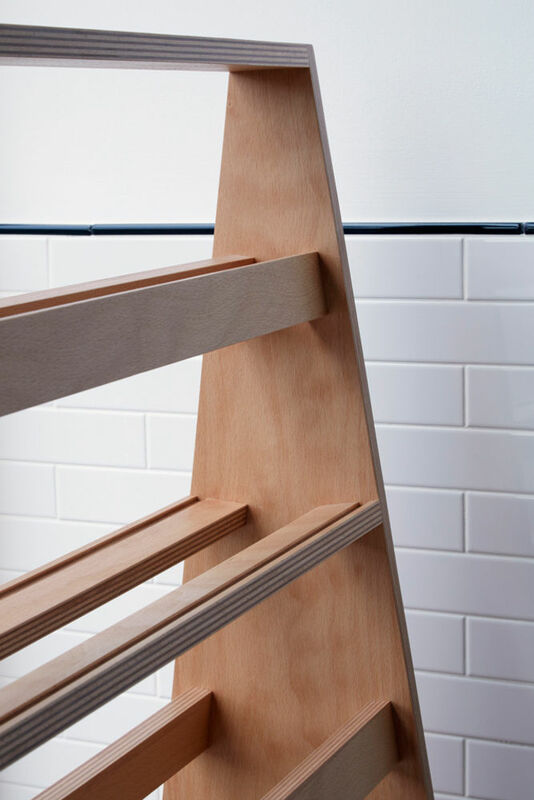 To divide and finish the workspace we commissioned furnishings from the very talented Gavin Coyle (gavincoyle.co.uk). We felt it was essential to use bespoke fittings to give the space a unique and quite polished look, as well as to get the best use from the relatively small space. Did this project give you a chance to work with any new materials or processes? How did you go about sourcing the local craftspeople used? We worked with a quite a few local craftspeople- aside from the huge work-desk, greeting table and beautiful divider by Gavin, we commissioned hand lettering from Mia Warner (miawarner.com) for the internal doors, and the multitude of plants were nurtured and provided by Treea Cracknell (londonflowerfarmer.co.uk). The stunning neon was produced by Electro Signs, which is the workshop of Gods Own Junkyard (electrosigns.co.uk godsownjunkyard.co.uk). We knew Gavin from working with him on his own identity a couple of years ago, and thought it would be perfect to commission him for this project; Mia and Treea are part of huge network of designers and craftspeople based in Waltham Forest, and Gods Own Junkyard is legendary. It was really important to both us and the client to use as many local people as possible (many of whom we know from our time in London), but the great thing about the Stow Brothers is they know and support a multitude of local designers and artists, so between us we had a pretty incredible list of designer-makers at our disposal. How involved was the client and did you have to make many compromises along the way? 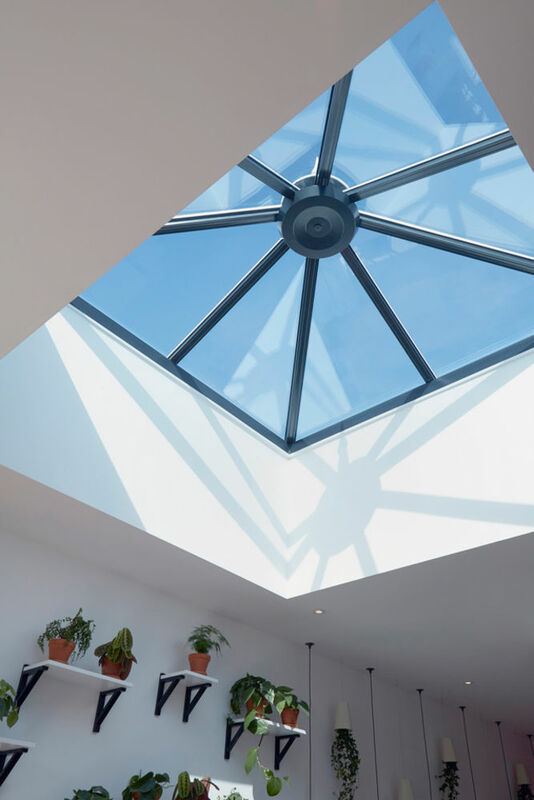 The client was super involved at the beginning, but once the scheme was signed off in principle they were happy to let it happen, unless something major came up. They are the perfect client because they trust us to get on, and their favourite phrase is ‘Lets’ do it’, which is great from our point of view. The biggest compromise was in the actual layout, as there was supposed to be a large roof light at the rear, which is where the planting was going to go, but when the builders started work it became clear that the roof light had to go at the front, which meant we had to completely re-think the layout and how the space worked. Luckily we hadn’t commissioned the furnishings at that point. What are the challenges involved in translating such a distinctive brand into an interior scheme? When we did the first space we were mindful not to integrate the brand too literally, because it is so visually strong. So we took the essence of the branding (bold and unexpected, but approachable and friendly) and took it into the space with some unusual and quirky details. 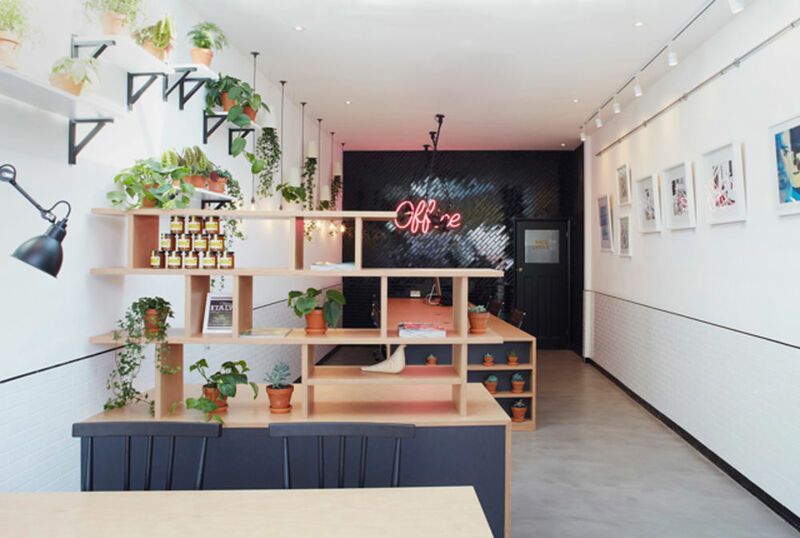 The same is true of the Wanstead space, which has taken some elements of the original space (like a similar layout, and the glass funnel lighting detail), but remains true to the brand, particularly ‘bold and unexpected’. How did you make sure that the shop still looked like an estate agent and not an artisan coffee shop or trendy hairdressers? That is a challenge, because if it doesn’t look like an ‘office’ then in many peoples minds it’s going to look like something they already know. 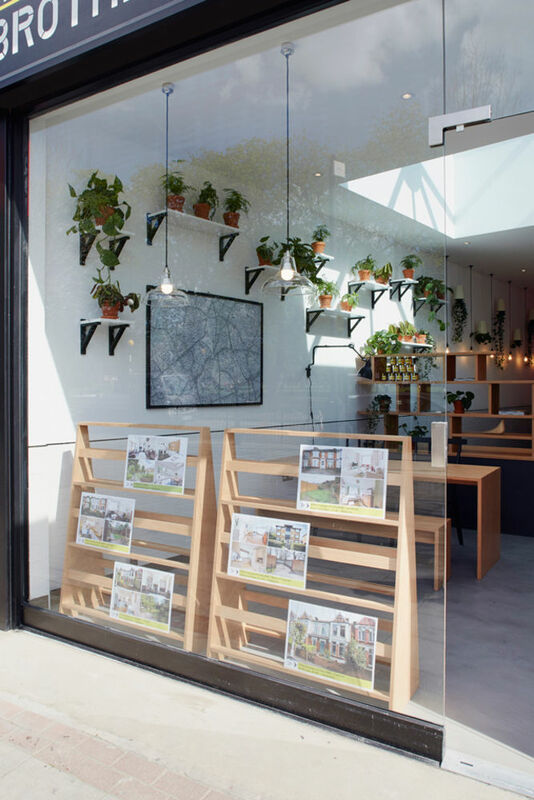 We were asked if it was a gallery (because to hide the work going on inside we placed a custom vinyl on the window displaying works of local artists under the banner of ‘Wanstead’s Smallest Gallery’, which confused a few people). We also had enquires about it being a butchers, a fishmongers and a coffee shop. But ultimately it becomes its own space because it has its own needs, like properties displayed in the window and the large map on the wall. Response to the finished space has been really positive because I think people love to see something new on the high street – many people are still sceptical about estate agents but with such an innovative approach I believe it is possible to show that there are new exciting ways to do things and also to get local people engaged and excited by what they see. Which are your favourite elements from the interior scheme? I love all the individual elements we incorporated and I think they gel together beautifully. 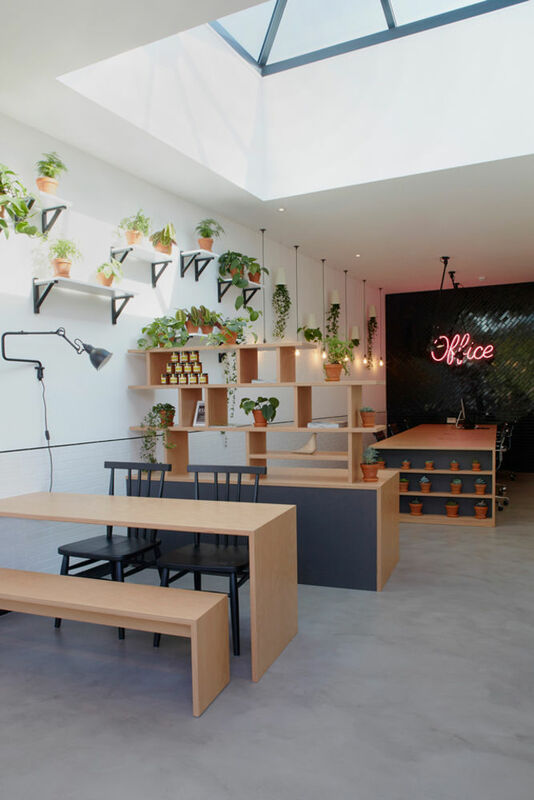 But my favourite element by far, is the neon on the black-tiled wall at the far end of the space. It came about because I used to refer to the original Stow Brothers space as a ‘shop’, but the client always corrected me and said it was an ‘Office’. 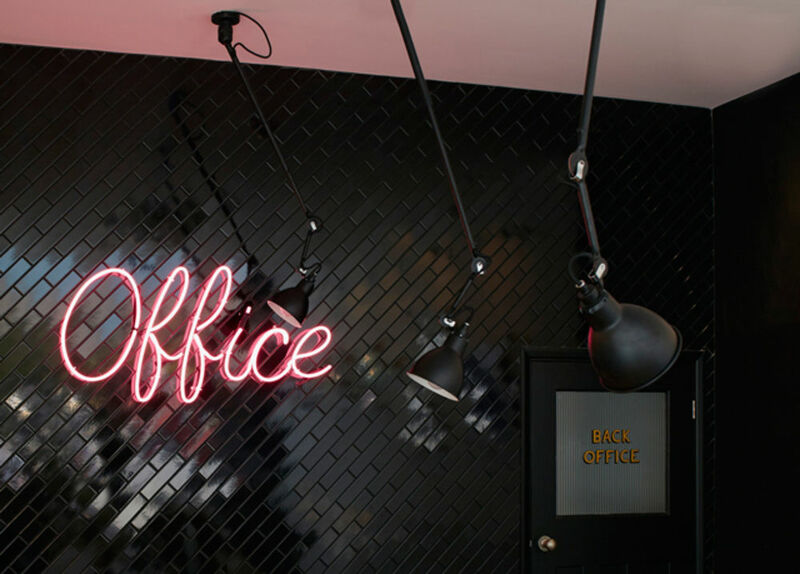 Watching the brilliant film ‘Planes Trains and Automobiles’ a couple of years ago, I spotted a neon ‘Office’ sign in one of the motels and thought it would be great to have it made for the Stow Brothers one day, so when I started work on the design for Wanstead it was one of the first things I put on the moodboard – and they said ‘Lets do it’. The wall where the neon is mounted was originally going to be tiled white and be covered in plants, but when we had to redesign the layout, the neon got moved to the back wall and I decided to use glossy black tiling instead, to bounce the light around and really show off the neon. I think it’s quite the star turn. What advice would you give to any designers thinking of moving out of London? If that's what you want to do, just do it. It’s very easy to get caught up in the fear of ‘not being in London’, but the truth is the majority of life goes on outside of the capital – there is a hugely creative world out there. See more of Build's excellent work here.